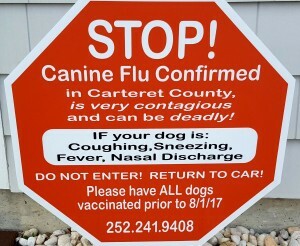 Due to recent cases of the highly contagious and dangerous Canine Influenza all over the United States PAWS is taking this precautionary measure at our Bark Park and Thrift Store in Morehead City, NC. 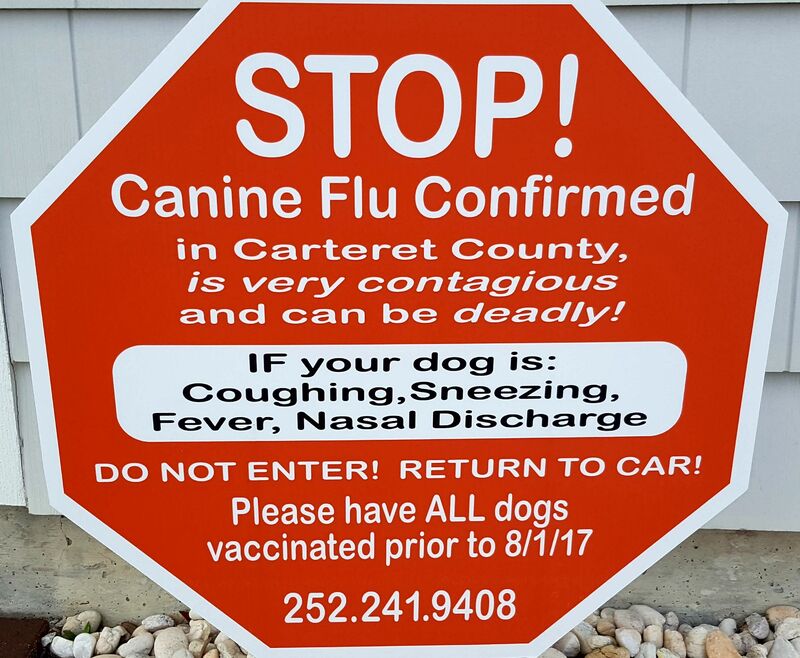 Bark Park Members are being asked to have their dogs properly vaccinated against Canine Influenza by August 1, 2017. Please provide a copy of your pets’ initial and booster vaccination asap. PAWS Thrift Store Shoppers with pets are being advised that if their pet exhibits symptoms such as coughing, sneezing, fever, nasal, eye, or mouth discharge they should return to their vehicle and come back without their pet to shop. If you have any questions or need to contact Donna about this you may call: 252.241.9408 during normal business hours (10-4pm M-Fri). This entry was posted on Thursday, July 6th, 2017 at 6:11 pm	and is filed under Uncategorized. You can follow any responses to this entry through the RSS 2.0 feed. You can leave a response, or trackback from your own site.